A Thank-You to Library Workers: National Library Week | Where's My Eraser? Library workers aren’t just caretakers of books. They’re caretakers of the children who read them. I have such wonderful memories of my little school library when I was growing up. There was a nice soft carpet on the floor in the children’s corner, where we would sit while the librarian read books to us like The Stinky Cheese Man, a new crowd favorite. Every book had an orange card in the back, which I could write my name on as I looked at the names of the kids who had checked it out before me. The only computer in the room was used by the librarian for inventory, but with all those books, who needed a computer? Working in a school library has changed quite a lot in the last 20 years, probably more than any other job in education. The orange cards have been replaced with bar codes. Card catalogues have been replaced with computers. The internet is just as ubiquitous as books and magazines. However, the mission of school libraries hasn’t changed: to expose children to ideas that are much bigger than themselves, and to connect children with the people who come up with those ideas. It’s a big world outside the school gate, and media has a way of making that world seem bigger and smaller at the same time. Throughout these technological advancements, library workers have been at the forefront of learning and implementing new educational technologies. They’re the ones helping kids put together their research projects on the Amazon rain forest. They’re the ones helping teachers experiment with math games on a new set of iPads. They’re the ones making sure that the whole school has access to the best online periodicals. That said, they’re still the ones introducing a new class of kindergarteners to the newest, silliest books. Some things never change. When you’re a little kid, libraries can seem like magical places, but they’re not created through magic. People make them possible. 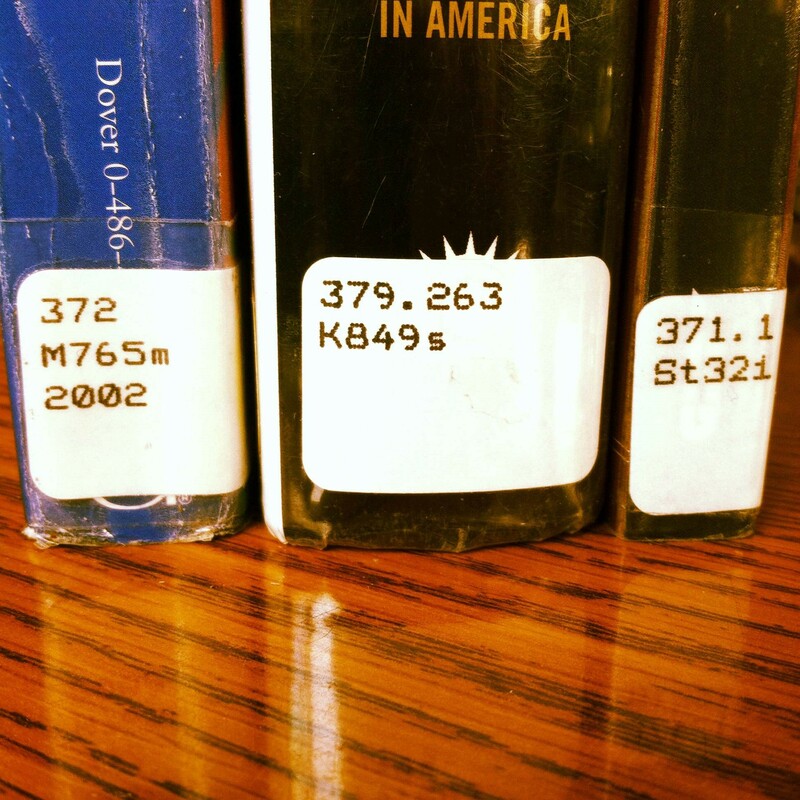 This entry was posted in Elementary Education, Libraries, Secondary Education and tagged #NLW14, #right2libs, books, edchat, edtech, librarians, libraries, tlchat on April 16, 2014 by Chris Thelen.